A technique pioneered by one family is helping thousands of cocoa farmers in Peru increase their yields – and inspiring chocolate enthusiasts around the world. The small jungle town of Tocache, Peru, was notorious in the ‘80s and ‘90s as a hub of coca production, drug trafficking and violence. 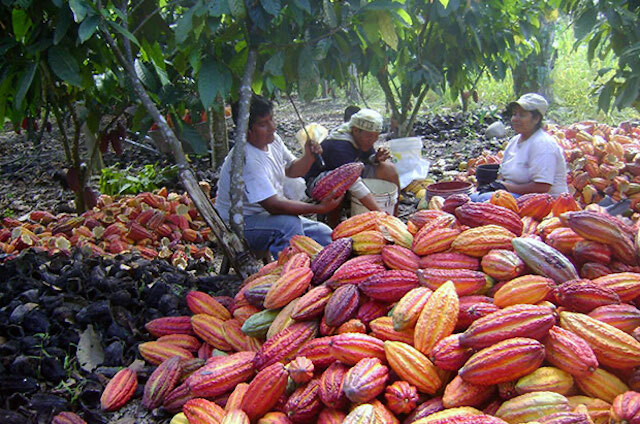 After successful coca eradication efforts in 2002, a government program helped coca farmers in the San Martín region migrate to cocoa production – reorienting from the drug market to the chocolate market. Yet most farmers lacked the knowledge to produce high yields on their new cocoa farms. Carlos Sierra and his family started growing cocoa along with other farmers in their community, but they quickly stood out. Through tireless trial and error, they developed an agronomy technique that resulted in productivity levels five times the local average. The Sierra farm became well known among cocoa farmers in the San Martín region, yet other farmers struggled to replicate their success. TechnoServe heard about the Sierra family in 2011, when we set out to help Peruvian cocoa farmers boost their productivity as part of the Economic Development Alliance, a five-year program to transform the cocoa market in Peru, in partnership with the U.S. Agency for International Development (USAID), the Government of Peru, the PIMCO Foundation and others. Our technical experts spent a year working closely with the Sierras to document, standardize and adapt their agronomic practices for a wide audience. 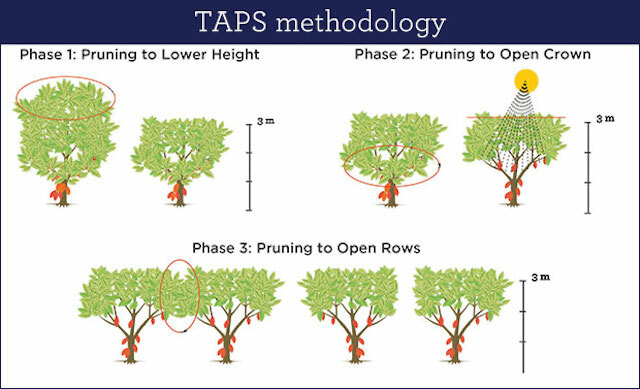 The result was a methodology called the Synchronized Fertilization and Pruning Technique, known by its Spanish acronym “TAPS.” TAPS focuses primarily on fertilization (adding nutrients to the soil) and pruning (trimming excess leaves and branches from trees) as drivers of productivity. Synchronized pruning and fertilization are recommended in three phases during the year, rather than the traditional annual approach. 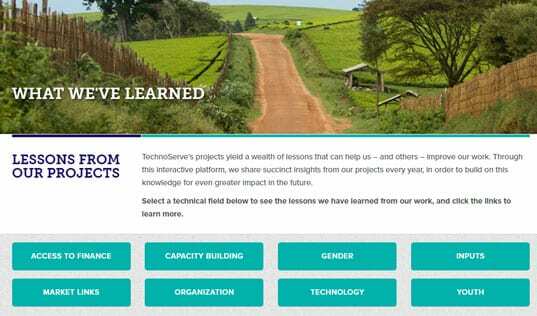 These best practices were taught through an accessible and hands-on training curriculum delivered to more than 21,000 farmers. 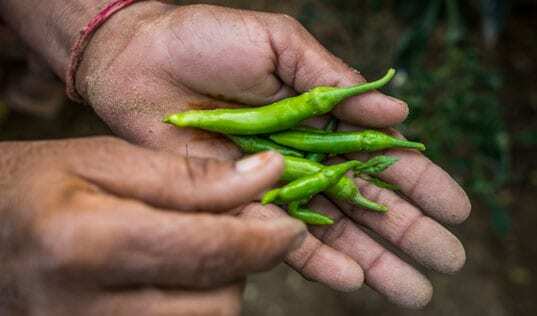 Farmers who adopted the methodology have seen their yields grow by 53 percent on average, resulting in an 85 percent annual income increase for the average farmer. Carlos is proud to be the promoter of change for the cocoa sector in Peru. “This is not just theory. These techniques were created on the field. They work, and I am glad that it has contributed to cocoa farmer’s benefit. Thanks to cocoa my town has peace and prosperity,” he says. Learn more about the Economic Developmetn Alliance in our case study.